We aimed for a design that is both simple and subtle but also strong in its shape. It needed greatness in a twofold function of showing time and being an appealing object in itself. We think it is important to see that this clock will be changing its appearance through time. 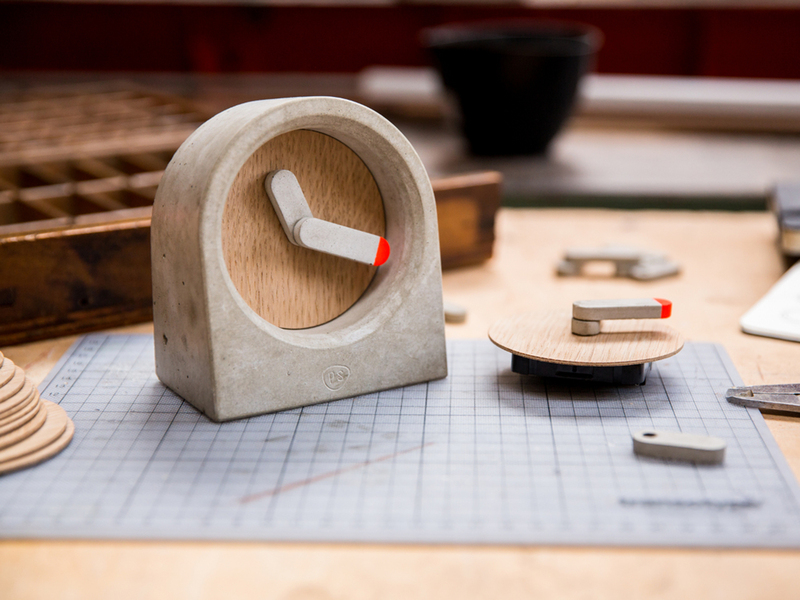 The oak veneer circle that is used as the dial is unfinished, just only sanded so it will slightly change its character. The concrete will alter its face and spots. It will get harder and stronger through the years. 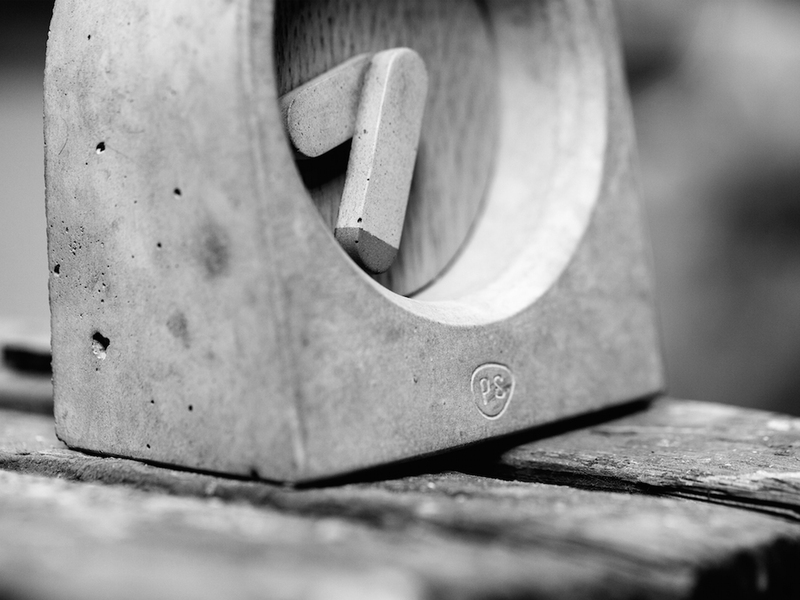 The hands are made of concrete and they give the clock a neutral and sturdy look. 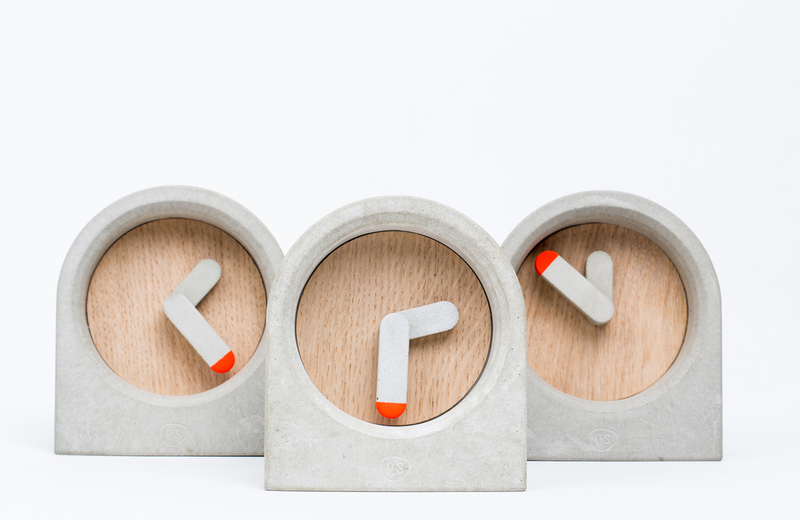 The pure presence of raw materials with the bright orange tip makes the MOAK Clock a little stubborn but also quite held back and mature.